Treat your skin with this unique blend of natural ingredients. Enjoy this delicate melange of jasmine flower essence and sweetness of amber. 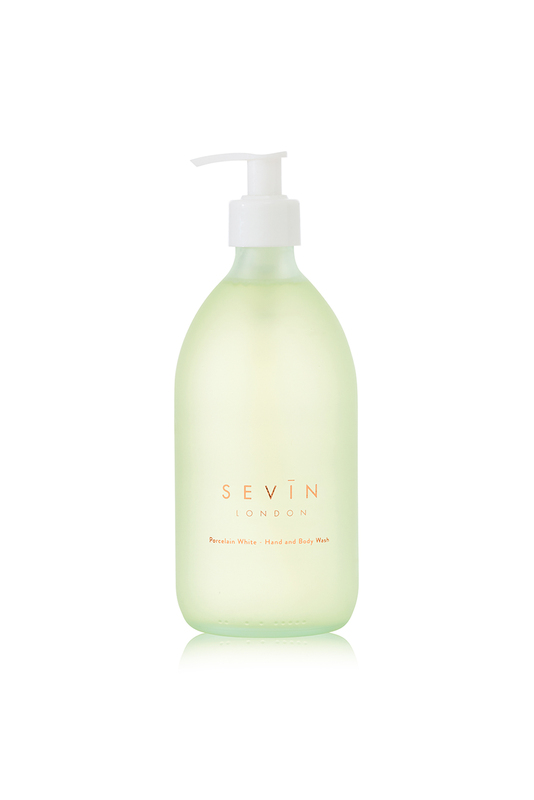 Apply to hands & body gently massaging into damp skin. Follow with an application of Porcelain White Hand & Body Lotion. Made from a carefully selected blend of five natural oils, combined with ethically sourced poppy seeds, this gently exfoliating cleansing soap is suitable for even the most sensitive of skin. Mild enough to be used on both face and body, all of our Sevin soaps foam luxuriously,leaving skin feeling super-clean and richly moisturised. Some other exfoliants can contain sharp edges, but the gently rounded poppy seeds in our scrub soaps naturally and gently help to smooth and even out your skin, resulting in a healthy, glowing complexion. Our Porcelain White range is the gentlest of our skincare products, providing nourishing and soothing relief for sensitive, irritable or very dry skin. Safe for use on face and body, rub our cleansing bar directly over wet skin in the shower or bath to unlock its soothing, exfoliating benefits. Rinse well and pat dry.